Do you need replacement parts to fix your barstools or caster chairs? Alfa Barstools has a variety of replacement parts that work for specific brand names such as Chromcraft, Tempo, Trica, Amisco, Douglas Furniture, and more. Take a look through our online catalog of barstool replacement parts and feel free to contact us with any questions. Replacement parts are not refundable so please double check specifications before ordering. Do you need a new swivel / tilt mechanism? Or, is it time to replace casters due to damage or wear and tear? 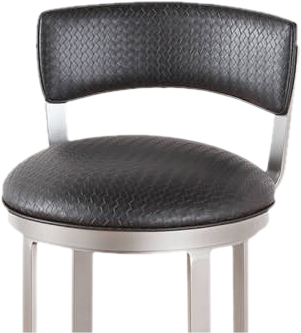 Swivel barstools often show wear and tear on the wheels first. Need a new bell glide? Don’t risk damage to your floor or your stool. And don’t risk safety by leaving a damaged chair unstable. The sooner you fix it, the less chance of causing permanent damage either to the stool or the floor and most importantly, the less chance of someone falling and getting injured. Order replacement parts here from Alfa Barstools and we are happy to ship them directly to your home or business. In addition to fixing your existing barstool, we also have parts that can help you turn a stationary stool into a swivel and tilt stool. 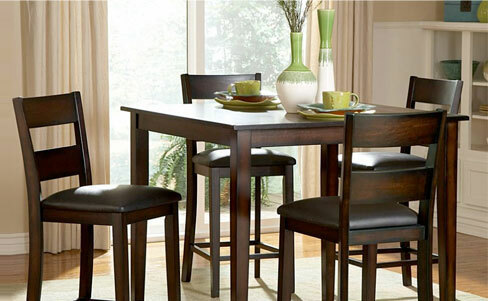 In addition to replacement parts for stools and chairs, Alfa Barstools also offers reupholstery services, too. Are you ready to update the look of your home or business? If your barstools or chairs are in good condition but you simply want to change the seat or the back, we can help with our reupholstering services. Contact us for a quote. Think it might be time for new barstools? Check out our great selection at discounts of 40 to 50% off retail. 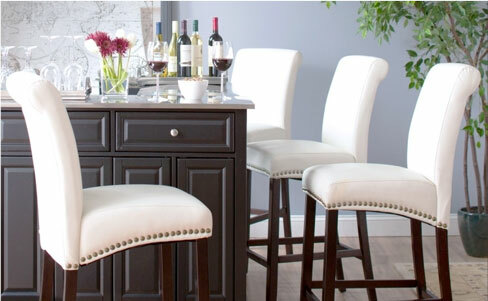 We sell barstools, pub tables and counters / bars, as well as caster chairs from some of the top brand names. We also offer custom barstools, made right here in our Lauderhill, FL warehouse and crafted with fine materials to your exact specifications. We look forward to doing business with you!